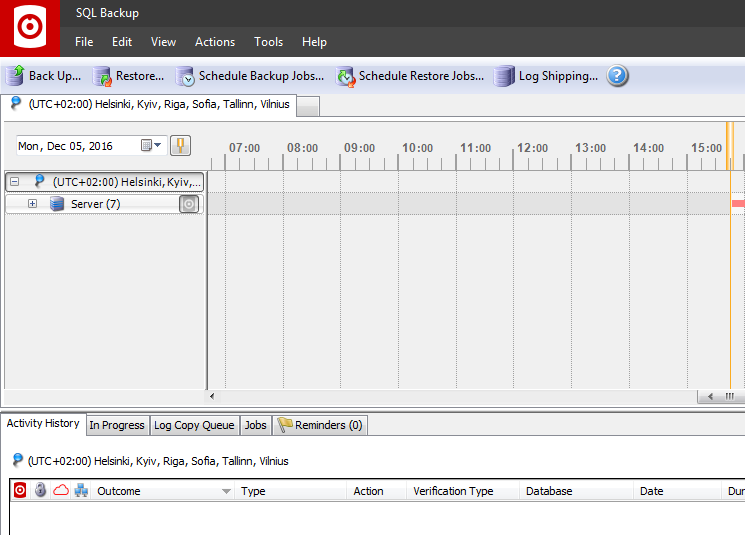 SqlBak creates backups in so-called .bak format, while RedGate’s product stores backups in .sqb format. What’s the difference? Usually, database backup files with .bak extension contain data in the standard Microsoft Tape Format (MTF) used by Microsoft itself as well as many backup tools for the Microsoft Windows platform. Many third-party SQL Server backup products including SqlBak and SqlBackupAndFtp produce backups in this format as well. Files with .sqb extension contain backups in RedGate’s proprietary format. You would need to use some special utilities if you want it to be converted into MTF. Let’s learn more about Microsoft Tape Format (MTF) and SQL Backup format from Red Gate. Microsoft Tape Format is used while writing and reading data to and from removable storage devices during storage management or data protection operations such as data transfers, copies, backup and restore. In the case of SQL Server, MTF files contain data and log information (MDF and LDF files) necessary for restoring the database. The MDF file is the Main Data File or primary database data file, that binds all other files in that database together. The LDF is the Log Data File and it contains all log information and is crucial for a database restore process. Please remember that changing the extension does not affect the content of the file. Actually, you can give your backup file any name you want and add a different extension. It’s necessary to mention that SqlBak additionally zips the .bak to save your disk space and secure your data with encryption. SQB is a proprietary backup format which belongs to Red Gate. It also contains data in MTF format, but they are additionally compressed (they say up to 95%) and encrypted (using 256-bit AES encryption). This makes this SQB format a bit inflexible in terms of the restoration process. What if you don’t have Redgate’s products installed on the computer where you need to restore the database? While Redgate uses their own SQB format to compress and encrypt MTF data, other third-party database backup utilities like SqlBak and SqlBackupAndFtp compress and encrypt backup files using common zip and 7zip formats. This makes the output files more convertible and allows to restore your database even if you don’t have those applications installed. Not exactly sure what format SQL backup is in. It’s apparently based on MTF but many of the blocks aren’t defined in the documentation, some of the undocumented ones link to invalid places and a few appear to be smaller than the minimum size of the standard block header. Whatever it is, it’s definitely *not* standard MTF.